We would like to apologize for wording in this initial public post that may have mischaracterized the panelist’s background and what happened at the panel. This was not a case of an outright Nazi sympathizer or alt-right infiltrator at WisCon, but rather a case of a conversation going badly awry amid deeply fraught political and emotional territory. There does not seem to have been any intent to promote Nazi ideology. For a fuller explanation, see this statement. The original blog post has been retained below. 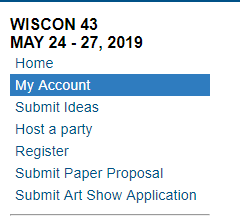 ETA: This particular individual has been banned for WisCon 42. The decision as to whether this ban will be extended in the future will be determined by our Anti Abuse Team post-con. They will also make the determination of whether the individual will be named by WisCon/SF3 and what other details are appropriate to share. 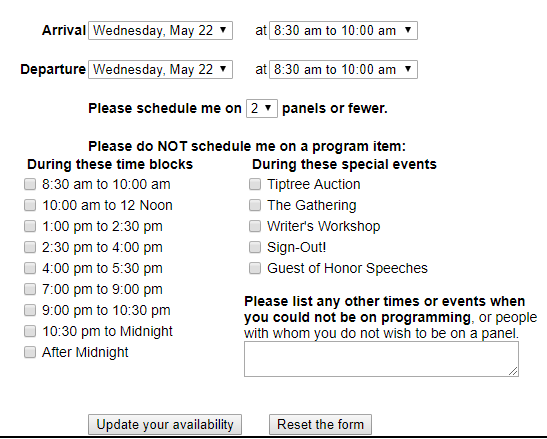 Should you have information to contribute, you are welcome to email safety@wiscon.net. This blog post has been updated to clarify details.